Ever just wish you could dunk your phone to get that awesome shot without having to buy a super expensive waterproof case? 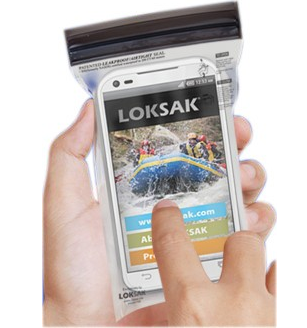 Well now you can with the LOKSAK Airtight Waterproof bags! It's the simple and less expensive way to protect those beloved devices from water and other elements like air, dust and humidity. Available in tons of different sizes, for all your techie products! 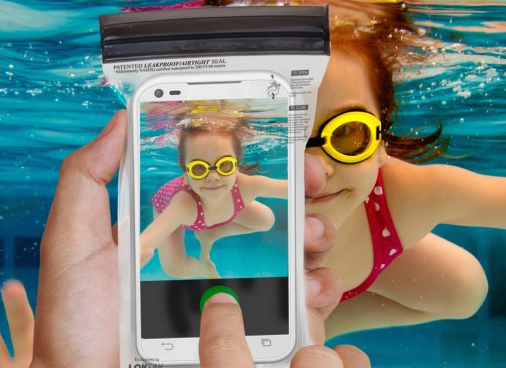 These bags are made from a durable polyethylene blended film and are 100% water/air tight. While we consider them "disposable", they can be opened and resealed numerous times! All the time our personal items and electronics are damaged from exposure to harsh environments. But the aLOKSAK bag is the only resealable, flexible storage bag that offers protection from such elements. No passage of time can deteriorate precious keepsakes when kept in a LOKSAK brand bag. These bags are considered military grade. They're used by outdoor enthusiasts and all branches of the US and Foreign Military, law enforcement agencies, etc, worldwide use them. Check out this sizing chart to find the LOKSAK that will be the bag for you.